Enjoy the process of reaching your goals. When you see results, discipline comes easy. 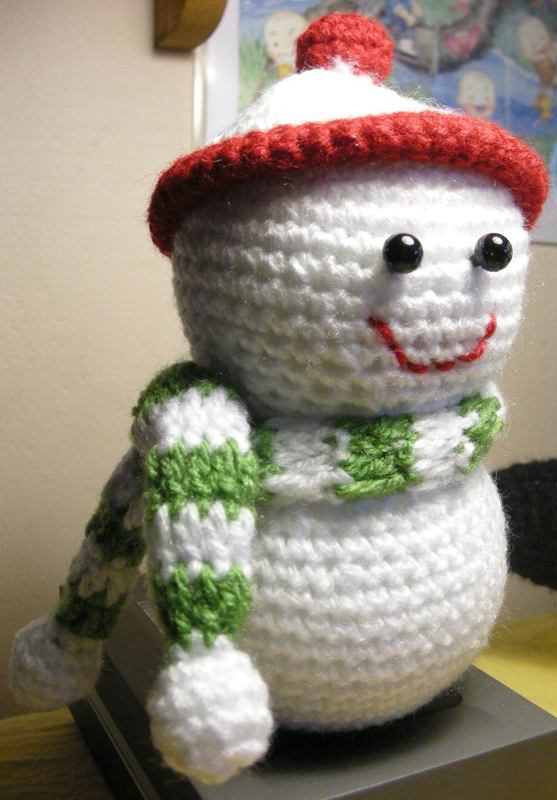 This is my latest design, a simple snow man. You can display it on the table in your office or at home. Every time I feel worry about anything, just take a peep at it and all my worries would melt down. Every time I feel stress from my work, just squeeze it and all I would feel better. Living in a tropical country, I seldom have the chance to see snow. I remember the first time I touched and played with snow was at Kirkland, near Seattle on a business trip in year 2001. They said it seldom snow over there. On an early morning in January, I woke up feeling pretty cold and saw this beautiful sight outside our rented apartment. At the car park place just outside the apartment were covered with a foot tall of snow. I saw those cars that were parked without a shelter were covered with layers of snow. That kind of feeling seeing every way was white was kind of a thrill to me. Me and my colleagues were amazed by the scenery. While waiting for the car to warm up (so that we could drive to work) we four adults were happily playing with snow like no other kids. Some of those family that lived in a valley had their road path all stuff wth snow that they were strained at home until the path were cleared by snow remove vehicles. There were news reported that people loved the snow so much that they rather took a day off from work or school to admire at the amazing whiteness that only came once in every four seasons. If there will be snow in Singapore, I will definitely be thrilled and just spending all my time watching the amazing beauty created by the nature. Long live the snow!